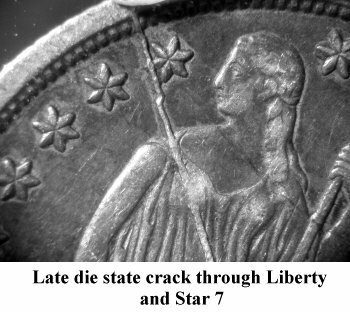 Comments: The earlier die crack that originated from the rim below 18 digits, now fully bisects a late die state Obverse 2 and exits to the upper rim at Star 7. 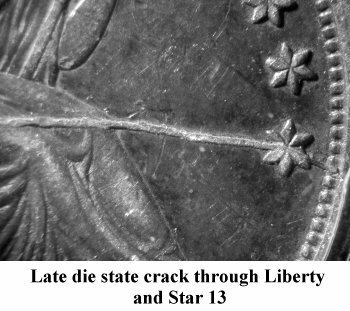 Another major die crack starts at the rim by Star 13 and proceeds horizontally towards the center of the obverse, intersecting the vertical crack at the upper right point of the shield. Ahwash indicates that his plate coin showed repunching of the 1, 3 and 9 digits in the date. 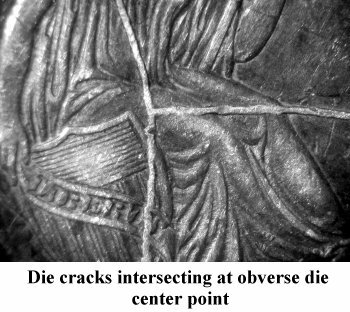 Reverse E remains perfect with normal reverse die alignment as seen with the earlier die states. 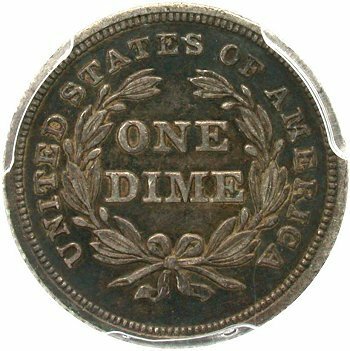 This variety and die state is one of the four key dates in the Top 100 Liberty Seated Dime Varieties set. 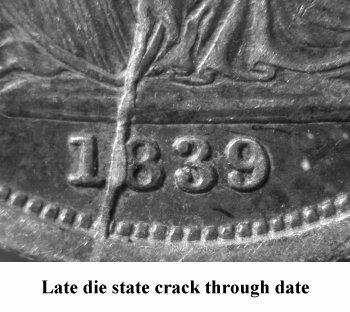 The 1839 Pie Shattered obverse die state is extremely rare (R8 in VF or better) with the finest known example being the Ahwash and Greer plate coin graded PCGS AU55. 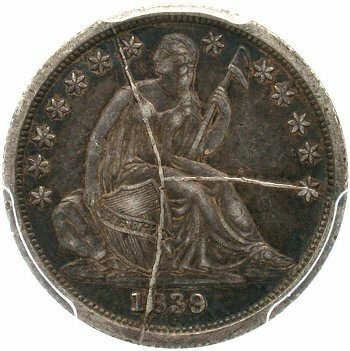 The second finest known, is the above plate coin which was discovered in the private collection of Celina, Ohio attorney John Sacher during September 2012 and subsequently purchased by the author in October of that year. At least three examples are known in PCGS Good 6 grade.